Pyoderma refers to skin infections characterized by the presence of subsurface pus. These are infections that occur on the surface of the skin (e.g. a hotspot), or in skin folds - usually these are places that are hard to be kept clean and dry, and are ideal places for bacteria to grow. These are infections that occur within the skin, usually caused by bacteria such as Staphylococcus intermedius. This type of pyoderma can be primary (with no underlying root cause), or secondary (caused by an underlying cause). 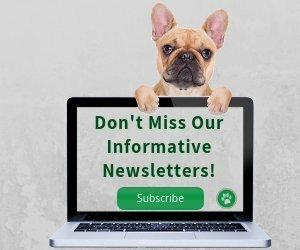 A weakened immune system: Dogs whose immune systems are weakened or compromised are more likely to allow bacteria to thrive and result in an infection. A suppressed immune system can be caused by diseases such as nutritional deficiency, autoimmune disease (e.g. lupus), hormonal diseases (e.g. Cushing's disease, hypothyroidism), long-term steroid therapies, and even cancer. Itching: Itching caused by allergies or parasites such as mites and fleas can lead to excessive chewing, licking, and scratching. This in turn can cause damage to the skin and breakdown of natural defense mechanisms, allowing bacteria to penetrate into the skin causing pyoderma. Deep pyodermas are uncommon in dogs. They are bacterial infections that occur under the skin. Dogs having deep pyodermas all tend to have immune systems that are compromised. They usually have more than one infection and are very sick. What are the Symptoms of Pyoderma in Dogs? Surface and superficial pyodermas can cause severe itching. The dog may have hair loss and the skin may become red. You may find pimple-like pustules and lesions on the affected skin. Usually, lesions are confined to the trunk, and rarely occur on the face, limbs or feet. In addition to itching and lesions, dogs suffering from deep pyoderma may not want to eat. They become lethargic, weak, depressed, and may have a fever. Conventional treatment involves the use of antibiotics, topical therapy, and when appropriate, treatment of the underlying causes. The dog patient will also be checked for presence of parasites (e.g. fleas, mites). 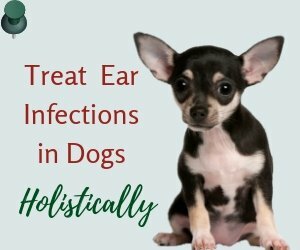 The bacteria causing pyoderma in dogs (Staphylococcus intermedius) do not respond to some of the more common antibiotics such as penicillin, or tetracycline. Therefore, more potent antibiotics (e.g. cephalexin) have to be used. For deep pyodermas, extended use of various kinds of potent antibiotics may be required. Topically, special antibacterial shampoos that contain benzoyl peroxide, sulfur, ethyl lactate, chlorhexidine, or tar will be used. 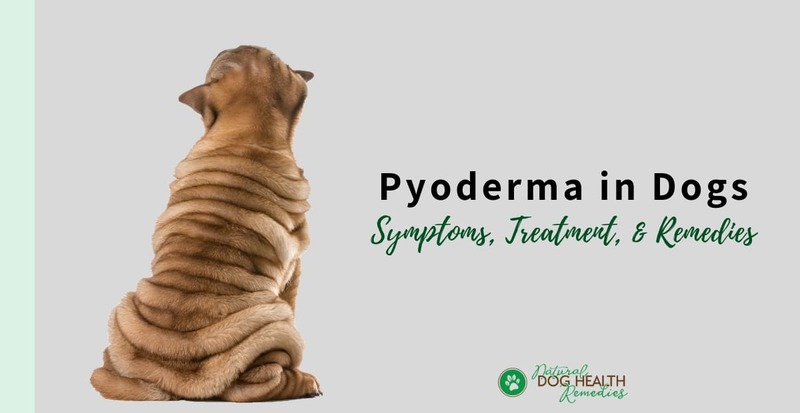 From a holistic point of view, like all other types of skin disorders, pyoderma has a close relationship with a dog's diet and the dog's immune system. If a dog is fed natural, wholesome food and has a strong immune system, she is less likely to develop skin disorders. Your dog should be fed natural, nutritious, well-balanced food. Supplements such as fatty acids, digestive enzymes, and vitamins (in particular, vitamins A, C, and E) should be given. 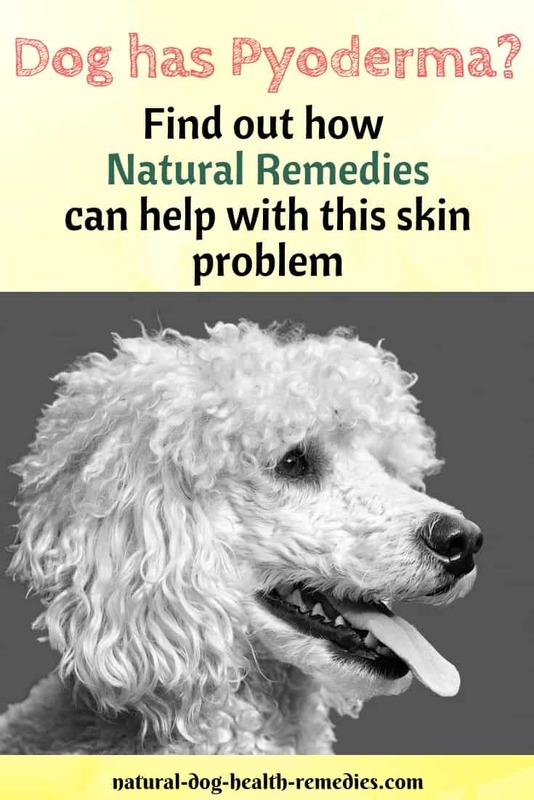 This is an excellent supplement for dogs with skin disorders such as pyoderma. It contains fatty acids, enzymes, vitamins and minerals needed to maintain your dog's healthy skin and glossy coat. Immune-boosting herbs such as astragalus or echinacea should be given to your dog to strengthen immunity. With a strong immune system, skin disorders such as pyoderma can be kept in check. 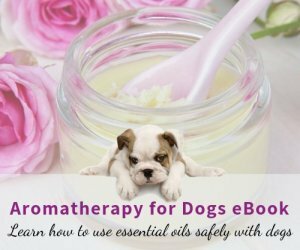 Understand that skin disorders (such as pyoderma) are signs indicating that the dog's body systems are working hard to get rid of toxins in the body. It is therefore important that we use remedies that can support the dog's liver whose main job is toxin removal. It is equally important to use remedies to clean toxins from the blood. Liver supporting and regenerating herbs include milk thistle, turmeric, and licorice. There are also quite a few effective Chinese liver-supporting herbs such as gardenia, vitex, and bupleurum. For blood-cleaning, herbs such as red clover and alfalfa are effective. In Chinese herbal medicine, forsythia (honeysuckle), lonicera, and chrysanthemum also have blood cleansing and toxin removing functions. This Chinese herbal formula contains herbs that are effective in fighting bacterial infections and cleaning toxins. Besides containing liver-supporting and blood-cleaning herbs, it also contains herbs that are effective for skin infections and eruptions (e.g. scute (Chinese skullcap), schizonepeta, siler, coptis). There are a lot of useful herbs and herbal products that can effectively relieve itching and inflammation. Visit our page on Itch Relief for Dogs for more information. Eldredge, et al. Dog Owner's Home Veterinary Handbook 4th edition (Wiley Publishing, 2007). C.J. Puotinen, Natural Remedies for Dogs and Cats (Keats Publishing, 1999). M.L. Wulff-Tilford and G.L. Tilford, Herbs for Pets (Bowtie Press, 1999). R.H. Pitcairn, The Complete Guide to Natural Health for Dogs and Cats (Rodale, 2005). All Content Copyright © 2008-2019 | Natural Dog Health Remedies | All rights reserved.